We know that the difference between excellent and mediocre performance is sometimes as simple as the right advice at the right time. We're proud to have these members of our network commit to mentoring the companies within our accelerator. Michelle Baldwin is community connector and social entrepreneur who is Executive Director Pillar Nonprofit Network, Co-Founder Innovation Works and Collaborator VERGE Capital. Michelle has extensive experience in social innovation, social enterprise, social finance, communications, fund development and nonprofit management. She believes that all business should have social responsibility and impact as part of its DNA and she can help you get there. Rachel is the COO of rTraction. She is skilled in the art of persuasion, and helps make sure marketing messages are on brand. Rachel brings clarity to the chaos of leadership and helps entrepreneurs find the balance between ego and purpose so that they can tell their stories and motivate their teams from a place of authenticity. Rachel has worked with clients that range from one of the largest software companies in the world to small start-ups. Jeff co-founded InnoSoft, and is responsible for overall product and technology strategy. 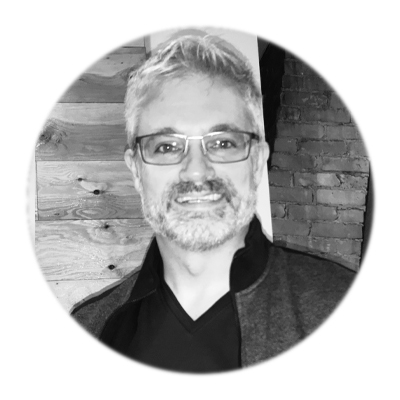 Jeff brings over 20 years of software development experience, as a developer, designer, systems architect, and tech entrepreneur. He is a hands-on leader, mentor and coach to InnoSoft's engineers and maintains close relationships with many of InnoSoft's long-standing clients. David Billson is presently the CEO of rTraction. He brings 20 years of experience with running a technology firm, helping hundreds of clients and successfully helping to launch several VC funded initiatives. David's passion is encouraging socially conscious professionals to dynamically grow their experience and empower them to act on their goals. 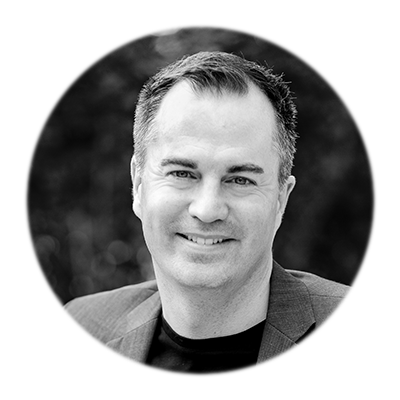 David Ciccarelli is the Co-Founder and CEO of Voices.com. The unique blending of his audio engineering background with self-taught business savvy and website development afforded David the creative freedom to pursue his passion for innovation during the first dot com boom, the result of which catapulted him onto the scene as a pioneer in his field in the early 2000s. Dennis graduated from the University of Waterloo in Systems Design Engineering. Focused on industrial automation system, robotics and motion control systems. Currently a "Serial Entrepreneur" in the technology field for 25 years focusing on manufacturing big data, analytics and proficiency. Victoria graduated from the University of Waterloo in Honours Mathematics and Business Systems Analysis. She worked as a Business Analyst in the insurance, financial and publishing industries. Currently a "Serial Entrepreneur" in the technology field for 25 years focusing on manufacturing big data, analytics and proficiency. Joe Dales is a co-founder of Farms.com Ltd., a company that provides innovative products to the global agriculture and food industry. Joe is an innovative business leader that has extensive sales, marketing, management, finance, technology and governance experience. Sandy Dales is a co-founder of AgCareers.com and has over 20 years experience working on innovative information, digital marketing and social media projects. Today her work focuses on client success by keeping up-to-date on global agriculture and food information, focusing on emerging trends and on leveraging technology and information for client efforts. Glendalynn Dixon is a leader, advisor, and connector in the London technology community. She knows how to identify and overcome hurdles to successful scaling in fast-growing companies. Glendalynn's two passions in business are data and leadership: helping companies drive more value from their data assets, building strong foundations with their early onboarding decisions and solidifying growth through diversity. Anna has worked at one of the biggest Canadian scale up successes Blackberry, and also one of the most epic crashes. She’s a mentor at Communitech, and the Schegel Centre for Social Entrepreneurship at Laurier along with teaching Design Thinking at Western. Brian co-founded InnoSoft and is responsible for the overall strategic direction of the business, running the sales, finance, and back-office operations at our London, ON headquarters. Brian is an established leader in sports and recreation management, and an experienced tech entrepreneur. Ashraf's passion is to advise and invest in technology he believes will make a difference. He founded numerous start-ups, including XQ2 Technologies (technology acquired), Redriver innovations and most recently Akira Systems (Wavelength) which was acquired by SCYTL out of Spain in 2014. Matt is a seasoned sales executive with experience in the agriculture technology sector recently leading Trimble Agriculture's Canadian sales group and managing the national business channel of dealers. He is a long time entrepreneur and has established a significant real estate portfolio and rental business. Jaret is a Co-founder of Stage Left, an M&A firm that enables entrepreneurs to sell or acquire mid-sized companies. Jaret is also President of Penguin Power Holdings, a company that invests in solar startups. Jaret is a serial entrepeneur and adventure capitalist. A serial entrepreneur, Jeff is currently a co-founder and board member at Digital Engagement Xperience. He has 20+ years of industry experience, including over 12 of those in executive roles in Operations Management, and Sales. He has firsthand experience as a key member of the executive team at EK3 technologies Inc. helping to set the foundation and growth enabling EK3 to be an attractive acquisition by Cineplex Inc. At EK3 he was directly involved with EK3 clients in the execution of corporate-wide strategies resulting in the deployment of nationwide networks of smart-store digital media solutions. These large enterprise-wide programs included budgets exceeding $15 million. Kapil Lakhotia, President and CEO at the London Economic Development Corporation, provides leadership on infrastructure improvements, workforce and talent development, and enhancing the entrepreneurial climate in London, Ontario. Lakhotia has over two decades of combined educational, professional, voluntary, and teaching experience. Mona Lam-Deslippe founded MLD Solutions Inc. in 1989 and Mozaik.Global in 2017. Mona continues to drive the evolution and growth of both companies. Good value and excellent customer service are her key cornerstones. John Lansink grew up on a small farm outside of London, Ontario. A numbers man, John’s expertise includes finance, business administration, and agribusiness consulting. His career experience includes seven years at General Dynamics in London, Ontario in various finance, business development, and business strategy roles. Following his time at General Dynamics, John formed BlueStar Distribution with Mike Perovich in 2011 and grew the company in both eastern and western Canada — ultimately selling it to Univar Corporation in 2015. John is currently involved in select startups, and provides consulting services for local farmers who want to grow their businesses. Barney partners with businesses, service providers, and aboriginal organizations to help them improve processes, services, and reporting. Nothing in his work-life gives him greater pleasure than helping his clients improve their organizations', increase their capacity to deliver services and seeing these individuals succeed. 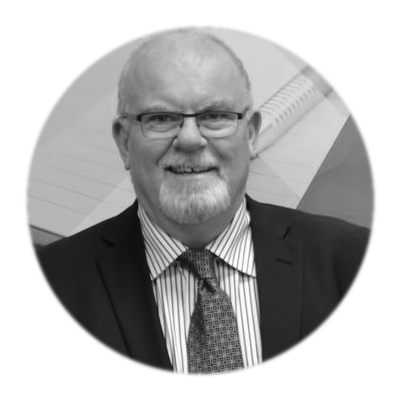 For over three decades Al has been a technology entrepreneur having owned and operated technology services businesses which supported and consulted for hundreds of businesses on technology, software and IT strategy. Helping communities grow, whether social or commercial is a passion that energizes him – engaging people and creating a network of support is a rewarding means to facilitate every business’ growth. With over two decades of experience in the technology and revenue sector and currently a co-founder of Diply, Gary is dedicated to crafting innovative solutions and is passionate about defining new strategies to compete in an ever-changing marketplace. Gary is committed to sharing his knowledge and has served as an advisor with multiple organizations. Since 2014, Gary has been a volunteer mentor to young entrepreneurs and businesses, providing business advice, coaching and support. Nevin is an accomplished business executive with over 25 years experience leading innovative agri businesses in North American and International markets. He has expertise in sales, marketing, product development and business management. John Pollock is a lifelong entrepreneur who enjoys coaching emerging businesses and connecting them with the resources they require. John is currently working with the London Economic Development Corporation to establish a regional founder network and refine the Corporation’s value proposition in the entrepreneurial space. Karen Sample is the founder and owner of 31st Line Strategic Communications. She has more than 30 years of experience in advertising, public relations and marketing. Karen believes in discovering the purpose, cause, or belief that inspires someone to do what they do. Dann has 40 years of business experience. Eighteen years as Chief Development Officer of GoodLife Fitness London, Ontario driving the company from 27 clubs to over 400 clubs. Twenty two years business experience in auditing with the Federal Government in Ottawa, Toronto, Kitchener and London. Eight years expertise with intellectual property law in Toronto and Ottawa. As the principal consultant for Social Design Ltd., Karen is a Business Designer who works with clients and organizations to help them integrate their marketing, operations, and strategy goals. She is an intrapreneur, and an award-winning communicator who has worked in technology since the early 1990s, and with startups and entrepreneurs for almost 20 years. She has a specialty in digital and social media, and brings extensive experience in sales, business development, marketing and communications, product design and management, education, operations, process design, business analysis, and project management. Karen has held roles with startups and large enterprises from Director to COO. 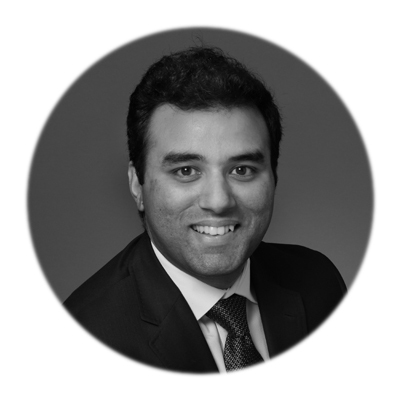 Vikas is an associate at Brown Beattie O’Donovan LLP, in their corporate/commercial and real estate groups. His practice is focused on assisting Technology and Venture Growth firms. While at the University of Western Ontario, Vikas assisted many Start-Up companies in their business operations and marketing. He was also one of the initial members of the business incubator at Western University. 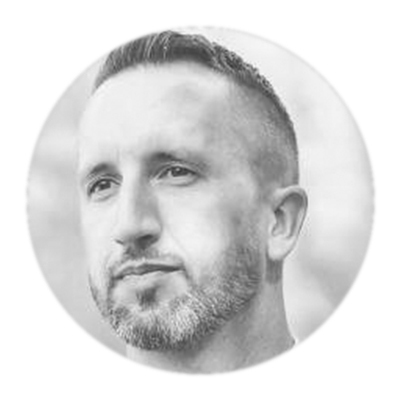 Marc Wilson is the Founder of Athletic Venture Advisors and a Co-Founder of TUFMED Inc. An athlete and artist/designer himself, he found a natural love and passion for all thing’s sports, technology, fitness and pain relief. A unique blend of sales and social skills, with a creative mind. The ability to connect the dots from start to finish, he is well suited for the startup environment. Marc is now focused on assisting companies in the sports, fitness and sports-technology industry find direction, connection, strategy and investment. He is also the Sales & Marketing Director for the Canadian Sporting Goods Association. Joe is an associate at Brown Beattie O’Donovan LLP, in their corporate/commercial and real estate groups. His practice is focused on corporate and commercial transactions, commercial real estate, bank financing, mortgages, real estate development, as well advising Entrepreneurs and Technology Companies. He has advised Start-Up and Venture Growth Companies through their incorporation and exit strategies. Marcin is currently a manager in the audit and assurance practice of PwC. On a day-to-day basis, he supports his clients by providing finance, accounting and tax related services. Throughout his career, he has worked with private technology clients through their growth, acquisition and divestiture stages. He is also passionate about guiding and educating the business leaders of tomorrow. After obtaining his CPA, CA designation, Marcin spent time lecturing at Western University.